At Action Pump & Grout Services we are trusted and hired by the contractors performing work for today’s Celebrities who live in the state of Arizona. Action Pump performed Grout Pumping Services at the Tony Robbins residence. Action Pump Grouted Concrete into the retaining walls surrounding Tony’s very large pool and backyard area. Cemex delivered the Grout to this celebrity project in North Scottsdale Arizona. Anthony “Tony” Robbins is an American self-help author and motivational speaker. Tony Robbins books include Unlimited Power: The New Science of Personal Achievement and Awaken the Giant Within. 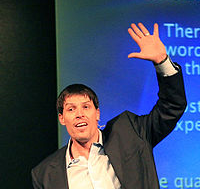 Tony Robbins has been on many talk shows and has had Acting cameos in such movies as Shallow Hal. Action Pump performed Concrete Pumping Services for the renovation at the Terry Bradshaw residence. Maricopa Ready Mix delivered concrete to this celebrity project in North Scottsdale Arizona. 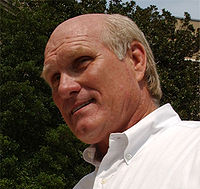 Terry Bradshaw played Quarterback in the NFL for the Pittsburg Steelers from 1970 to 1989 and there he led them to four Super Bowl Championships and was inducted into the Pro Football Hall Of Fame in 1989. Terry had a long runny Sports Broadcasting career as an Analyst and Commentator until his recent retiring. Most recently he was an Actor in the movie opposite Cathy Bates in Failure to Launch and has appeared in many movies over the years. Terry Bradshaw was the first and still is the only NFL player in history to receive a star on the Hollywood walk of fame. Action Pump performed Concrete Pumping Services for the Footings and Stem Walls during a new and very large garage addition at the Danica Patrick residence. I-Mix Ready Mix Delivered the Concrete to this celebrity project in North Scottsdale Arizona. 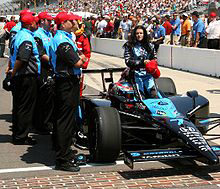 Danica Patrick is an IndyCar and NASCAR driver, as well as Scottsdale Arizona’s very own GoDaddy Girl. Along with being the spokeswoman for GoDaddy.com; Danica Patrick has also been a Model and an Actress. Action Pump Arizona’s Web Site ActionPumpAz.com has been Hosted By GoDaddy.Com Since Dec 2008. Action Pump performed Concrete Pumping Services for the Concrete Deck around the large pool and grotto in the back yard and around the hot and cold therapy spa set up in the basement at the Donovan Mcnabb residence. Rock Solid Ready Mix Delivered the Concrete to this celebrity project in Gilbert Arizona’s Lake Homes. Donovan McNabb is an America Football Quarterback for the Washington Redskins of The National Football League (NFL). He was the Philadelphia Eagles’ quarterback from 1999 to 2009. He played for Syracuse University and the Eagles’ selected him as the second overall pick of the 1999 NFL Draft. 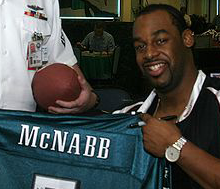 McNabb led the Eagles to four consecutive NFC East Division championships (2001, 2002, 2003, 2004), and led them to one Super Bowl (Super Bowl XXXIX, in which the Eagles were defeated by the New England Patriots). His most memorable play was against the Green Bay Packers and is known as “4th and 26”, during the final minutes of a 2003 NFC Divisional Playoff Game. He is the Eagles all-time Leader in career wins, pass attempts, pass completions, passing yards, and passing touchdowns.